We know running all your tournaments, member events and outings involves lots of moving parts. So, we’ve created an easy solution to help save you time, make the day stand out and even generate some extra revenue. The VPAR Tournament Management System allows you to setup a Tournament in 3 simple steps. 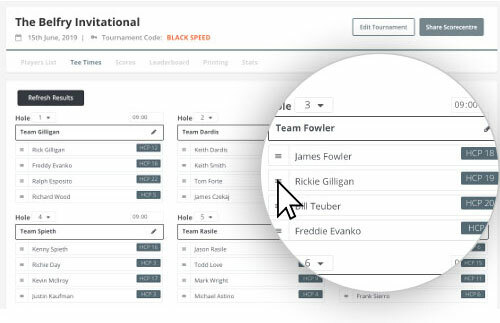 Tee time and golfer management allows you to make and save changes instantly. 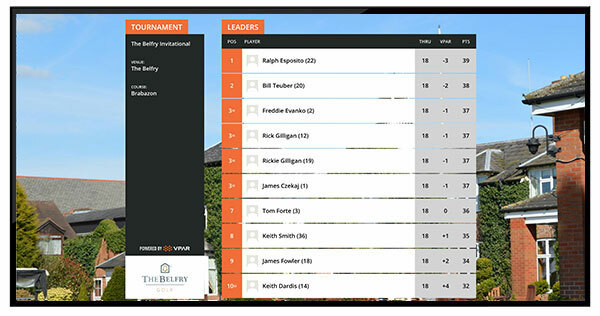 Live leaderboards keep golfers engaged both on and off the course, through the VPAR app and our stunning TV leaderboards. Enhances the golfer experience on and off the course. Simple tournament setup for a vareity of scoring formats. Branding opportunities that generate additional revenue for your club. Live scoring with the VPAR mobile app. Generate exposure online and via social media. 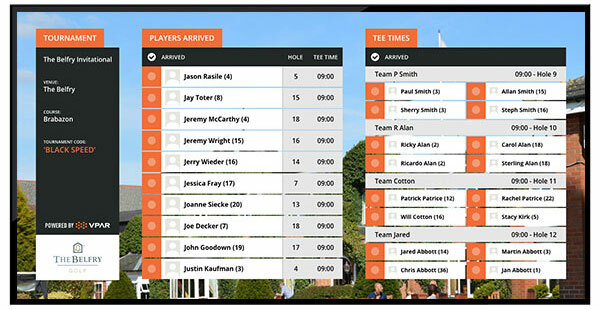 Select from a wide-range of formats (including Matchplay), add your players and setup your leaderboards. Multi-round available. Both event managers and golfers will know who’s arrived, when they are teeing off and from which hole. Photo registration also available. 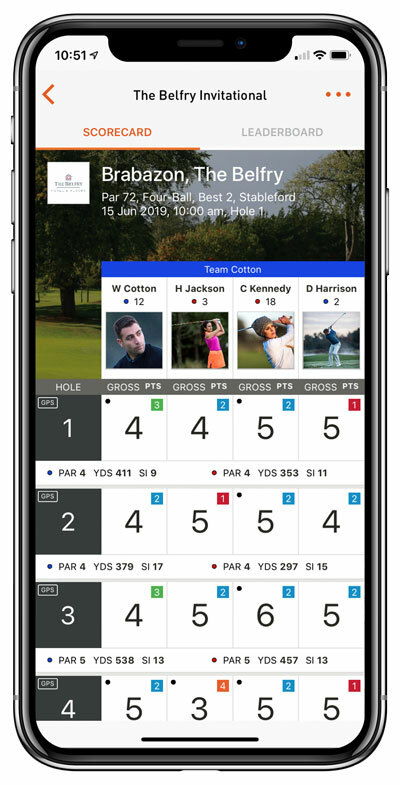 Digital scorecards are preloaded with team name and handicap - allowing golfers to enter scores directly with a single tap. 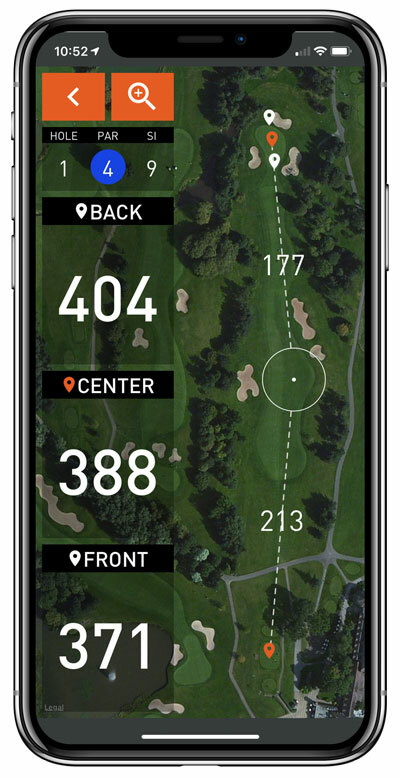 Golfer can access distances to the Green plus other course features. Select the ‘Leaderboard’ tab to see how other competitors are getting on in realtime. Leaderboards are updated in real-time on TV screens around the clubhouse and online - all set up by our staff (so you don’t have to).